The MEFV (Mediterranean fever) gene provides instructions for making a protein called pyrin assists in keeping the inflammation process under control. Inflammation occurs when the immune system sends signaling molecules and white blood cells to a site of injury or disease to fight microbial invaders and facilitate tissue repair. When this has been accomplished, the body stops the inflammatory response to prevent damage to its own cells and tissues. More than 80 MEFV gene mutations that cause familial Mediterranean fever have been identified. Rare mutations cause small base deletions in the MEFV gene, which can lead to an abnormally small, nonfunctional protein. Most MEFV gene mutations, however, alter one of the amino acids used to make pyrin. MEFV gene mutations lead to reduced amounts of pyrin or a malformed pyrin protein that cannot function properly. As a result, pyrin cannot perform its presumed role in controlling inflammation, leading to an inappropriate or prolonged inflammatory response. Fever and inflammation in the abdomen, chest, joints, or skin are signs of familial Mediterranean fever. 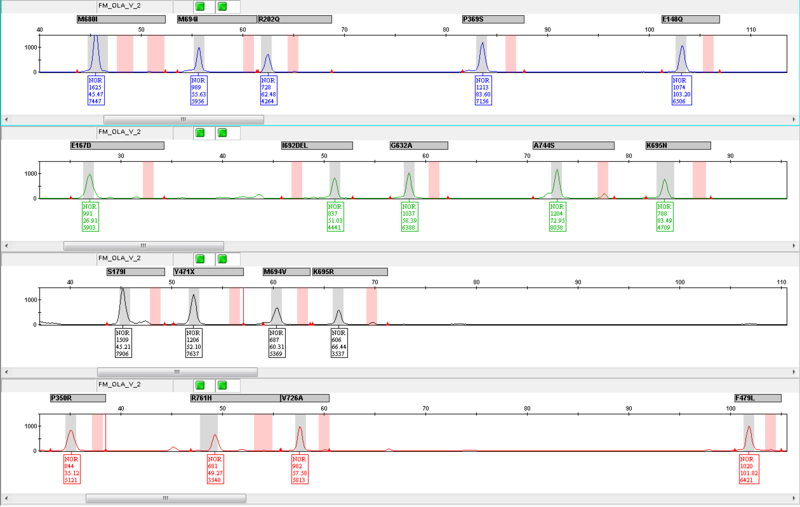 SNP DETECTIVE MEFV kit contains 4 primer pairs for amplification of exon 2-3-5-10 of the MEFV gene. 18 region-specific probes and 37 single-base-specific fluorescence labelled DNA probes are used for detection of SNPs (Single Nucleotide Polymorphisms). The kit uses a five-dye fluorescent system which allows multiplex amplification-ligation in the same tube for automated SNP analysis. 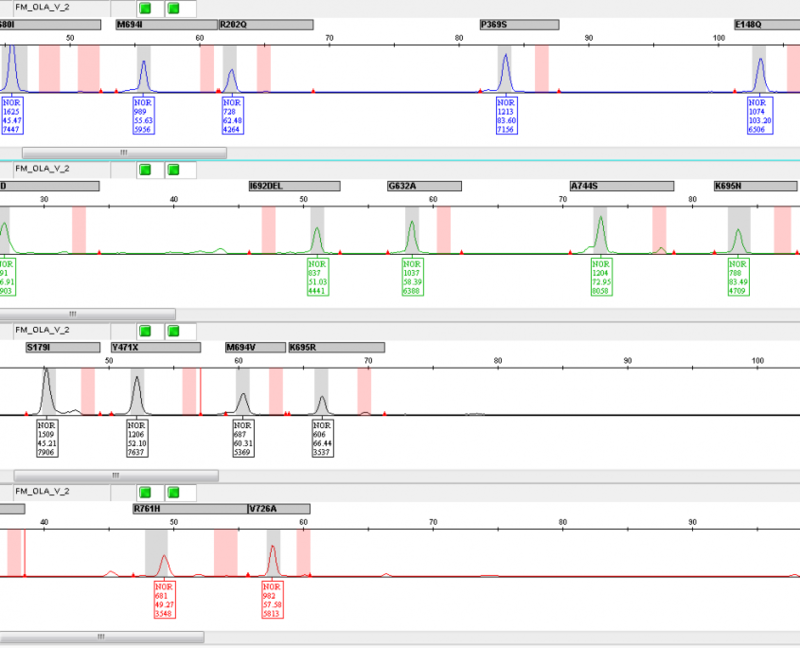 The SNP Detective MEFV Kit incorporates an external control with a wild-type pattern for all related mutations to ensure the performance of the ligation reagents and to investigate troubleshooting related with genomic DNA and DNA probes.